The goal of the training grant program is to enhance the quality and availability of safety training for United States commercial fishermen. material, and other characteristics of a successful training program. develop and deliver training which addresses the needs of commercial fishermen in the United States, provide qualified marine safety instructors, or otherwise accepted by the National Maritime Center instructors and faculty to conduct the training, evaluate the effectiveness and impact of the training program on reducing injuries among fishermen coordinate with existing training programs and partnerships with industry, fishermen, and agencies, and conform to 46 U.S.C. 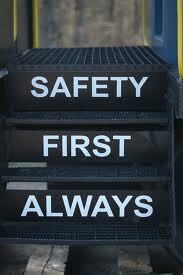 § 4502 (i) Safety Standards for commercial fishing safety training. Only individuals who are U. S. citizens or permanent residents, or citizens of U. S. territories, and are applying to or have been accepted to a U. S. accredited graduate institution to pursue a master&apos;s or doctoral level degree in oceanography, marine biology, or maritime archaeology (including all science, engineering, social science, conservation, education, and resource management of ocean and coastal areas) are eligible for an award under this scholarship program. In addition, to be eligible to apply, applicants must have a cumulative 3.30 grade point average. Scholars must maintain a minimum cumulative and term grade point average of 3.30 for every term and for the duration of their award. If applicant does not maintain this grade point average, he/she will be placed on probation after the first term. If the grade point average is not brought up for that year, the recipient’s scholarship will be terminated. In addition, satisfactory progress must be made toward the completion of a thesis or dissertation. If it is determined that the scholar will not complete his/her thesis or dissertation prior to the end of the award, funding may be withdrawn.Individuals who already receive NOAA or federal funding from grants or scholarship for graduate school are not eligible to receive the Dr. Nancy Foster Scholarship. If a student is willing to give up the other federal funding, then he/she is eligible to receive the award. Universities or other organizations may not apply on behalf of an individual. Prospective scholars do not need to be enrolled in a graduate program at the time of application but must be admitted to a graduate level program in order to be awarded this scholarship. Eligibility must be maintained for each succeeding year of support, and annual reporting requirements, to be specified at a later date, will apply. Individuals who are in their last year of graduate school are unlikely to receive this award.